See popular Canadian actors, actresses and famous faces cast as your favourite Game of Thrones characters. Famously known on the show as ‘The Mother of Dragons’, Daenerys is determined to unseat Cersei Lannister by winning the Iron Throne. After finally reaching Westeros by ship, Daenerys most recently wiped out Lannister soldiers at Highgarden before journeying north and facing the White Walkers atop her most fierce dragon. The loss of one of her dragon children has ignited a fire in Daenerys which will no doubt serve her well against the undead and the formidable Lannisters. Headstrong, grounded and fierce, Malin Åkerman’s feisty personality makes her the perfect Canadian portrayal of Daenerys Targaryen. Fame and ethereal beauty aside, both Daenerys and Malin are independent individuals with scores of tenacity; it’s easy to imagine Malin earning the respect of Dothraki soldiers. As an actress, Malin is known for playing strong characters like Daenerys such as Silk Spectre II in Watchmen and Lara Axelrod in Billions. Determination and passion are traits shared by both women, driving them to work hard to achieve their goals. Combining a fantastical realm with crafty characters all vying for the Iron Throne, Game of Thrones is one of the most talked about television shows. Game of Thrones is also known for using a multitude of exotic locations around the world to film different parts of Westeros including Spain and Iceland. Visualising Game of Thrones in a Canadian setting, "Game of Canada" replaces the iconic cast with Canadian counterparts and reimagines Westeros in Canadian locations. 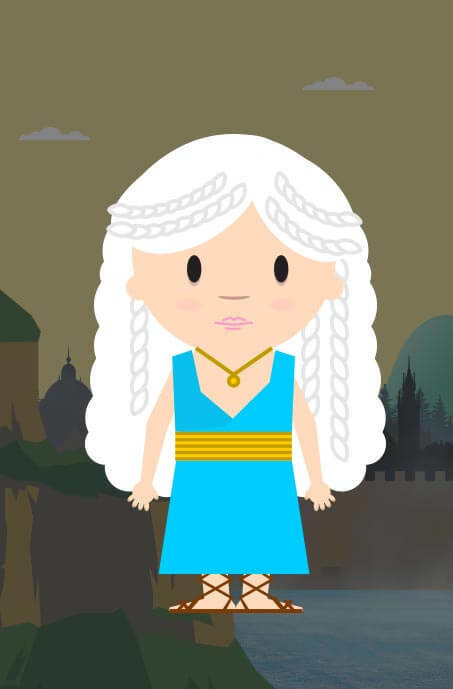 The site examines ten Game of Thrones characters and compares them to prolific Canadian figures that embody the key attributes of the characters’ personalities. "Game of Canada" also includes a map of Westeros, highlighting eight key locations from the realm that are explicitly linked to the characters, many of which have been showcased in the most recent season. The locations tab showcases a description and image of each location and compares it to a suitable Canadian counterpart based on the visuals of the setting and the mood. Why not share your favourite Canadian replacement on Facebook or Twitter?